To begin, I stamped the image from the BB Birth-Yay stamp set on the wood slice with Extreme Black Hybrid Ink. I carefully colored the images with Copics trying not to ruin the nibs (it worked the best with juicy nibs) and used colored pencils enhance the colors. I went over the eyes with a black thin Sharpie. After, I used the Card Sized Confetti Stencil with Distress Oxide to add the colorful circles to the background. I used the combination of Distress Oxide and colored pencils to color in the ground and heat embossed the sentiment in white. I went over the sentiment with a white gel pen. I also used the pen to add white circles to the background and add highlights to the images. To finish, I drilled a hole in the wood slice added twine around it. That's it for today. 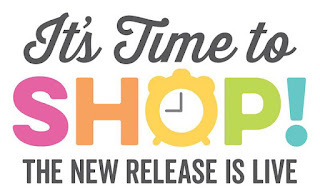 Thank you so much for joining me during the MFT February Release Countdown. I hope you enjoyed my projects. This is so cute! Great idea and I love your coloring. Your project is adorable! Love the little critters. Your ornament is so cute! It would make a great Birthday gift topper. Thanks for sharing! Wow what a fantastic keepsake for a birthday gal or guy! So awesome! This is spectacular and did you film it perchance? I would love to see a video of you coloring again on the wood! Thanks!!! 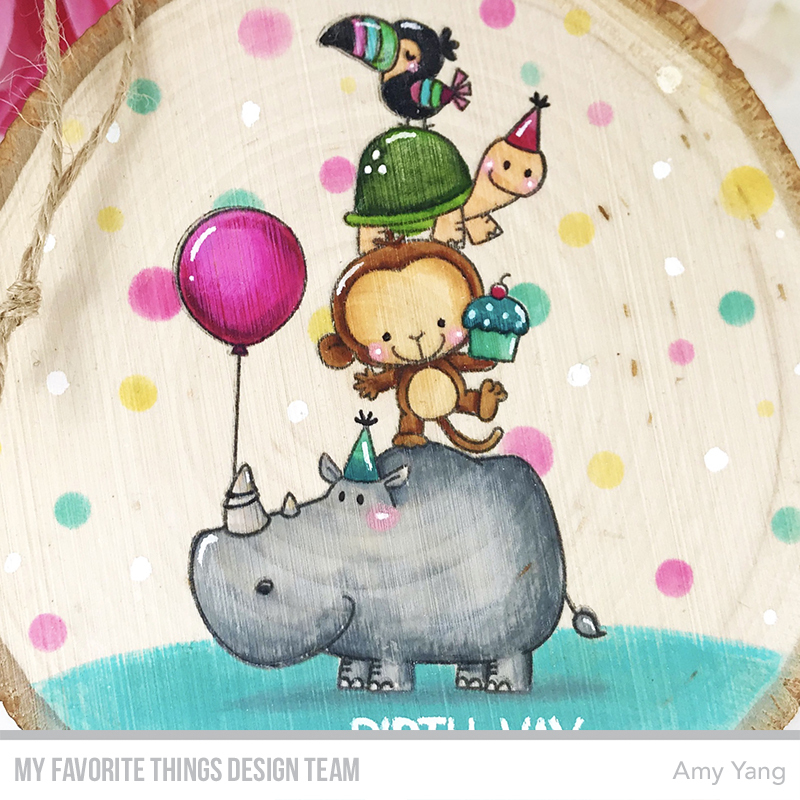 Oh my goodness Amy, that is absolutely adorable and beautifully done! I am in love with your wooden creation! It’s such a fantastic idea and super adorable too! Such a cute wood slice ornament!! Love your idea! It's So eye-catching! Beautiful technique using the wood slice. Love this release!! Stamping and colouring on wood... very brave! Very cute too! I'm so card-bound that I'm always surprised when people do projects on other mediums like this. I love how this turned out, and I appreciate the reminder that there are more surfaces than paper out there! What a great idea to use a wood slice. I'm thinking of all the fun Christmas ornaments I can make with my stamps. What a precious and adorable keepsake, you make the cutest things! Great inspiration, TFS! Super cute. I love making these ornaments for Christmas. I just use pencils though - never even though about using my Copics on them! Adorable ornament. Such a great idea. Sweet release, thanks for the inspiration! Your project is so so sweet! What a wonderful treasure you have made with the BB Birth-Yay stamp set. The colorful woodcut is going to delight its lucky recipient! That is so creative!! Your coloring on the wood slice is awesome!! What a creative project! So cute. 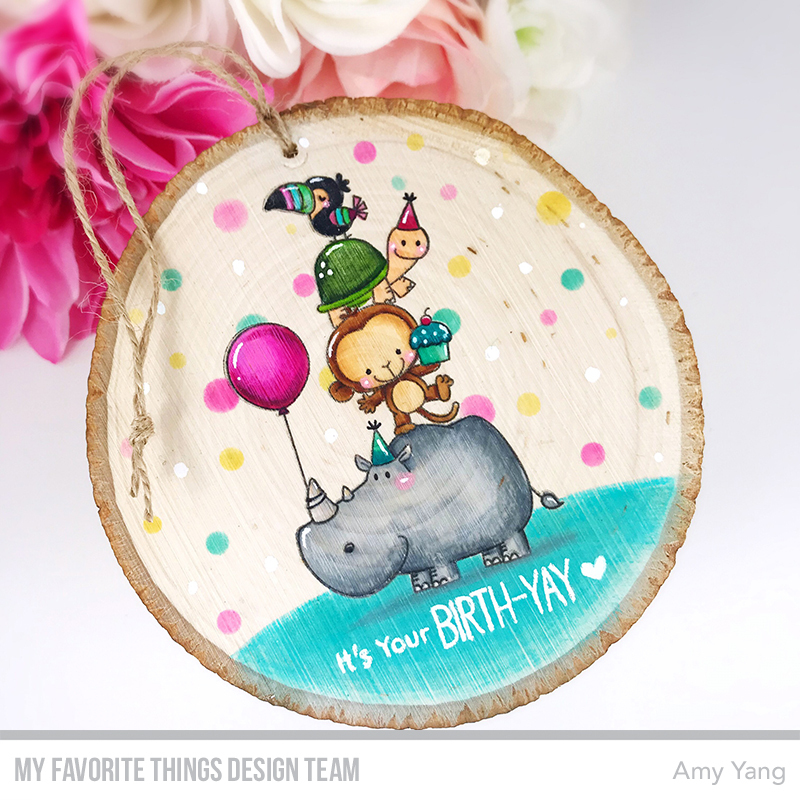 Such a fun way to use the stamps Amy! Thanks for sharing. I love that you used the Wood Slice!! What a fun & unexpected birthday tag! 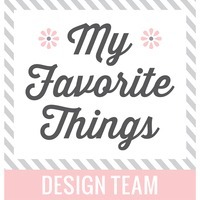 Love this project, it is a great birthday tag! Very interesting way to use your stamps, I like the wood look! WHAT A GREAT IDEA! Gorgeous coloring! So creative and absolutely adorable! Fun ornament! Those critters are adorable! What an awesome project, so creative! I'd never have thought to stamp and color on wood. Love it! This is so cute and creative! Your coloring is beautiful and came out so well on the wood. This is my favorite stamp set from the new release. Seriously, WOW! What an amazing idea and your coloring turned out beautiful on the wood. That's adorable! It would make an awesome gift tag. This is truly the cutest ornament/gift tag I have ever seen! 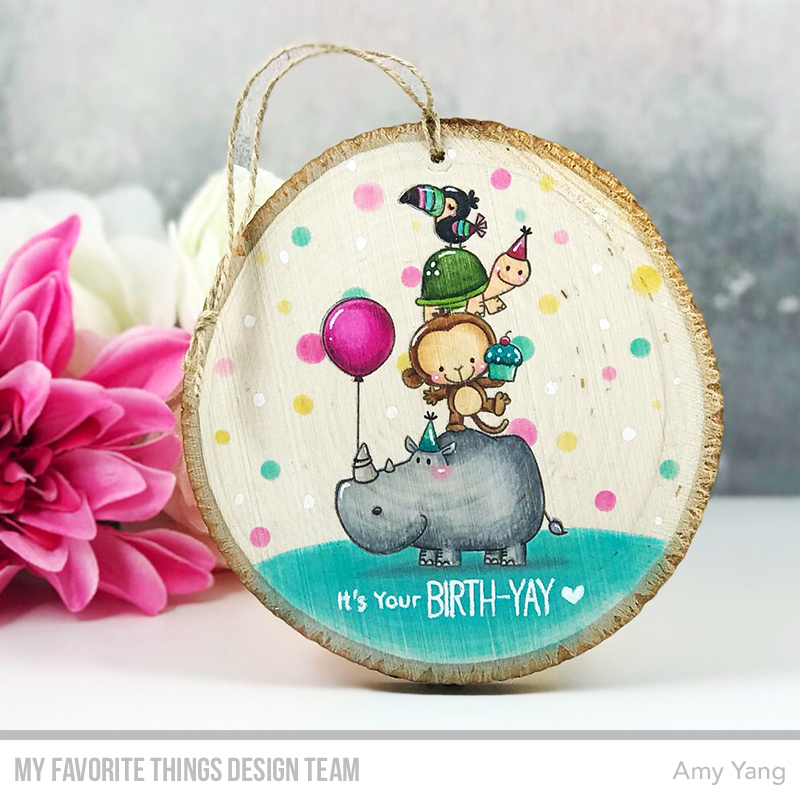 These critters are absolutely adorable!Thanks for the inspiration Amy! Inspired use of a wood base so for the fantastic animal stack so beautifully painted! Wow! What amazing project!!! Love your cutie idea and fabulous colouring!!! Wow! Beautiful inspiration! Your coloring is so amazing.Thanks for sharing. These guys are a pile of fun and how cool to do them on wood!! This is just darling, Amy! This is just incredible, I have never seen this before stamping on wood! So cool!! Absolutely gorgeous Amy! A beautiful keepsake... I think I will have to give this a go with some Christmas images - so they can hang on the tree each year. Thank you for the inspiration. So gorgeous, and it worked so well on the wood! Love that you created this on wood! Beautiful and adorable! Wow, fabulous project! So creative! 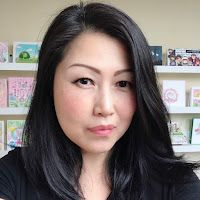 Amy,what a great project! So cute and colorful and fun! so cute and colorful. Love this idea of stamping on a wood ornament. 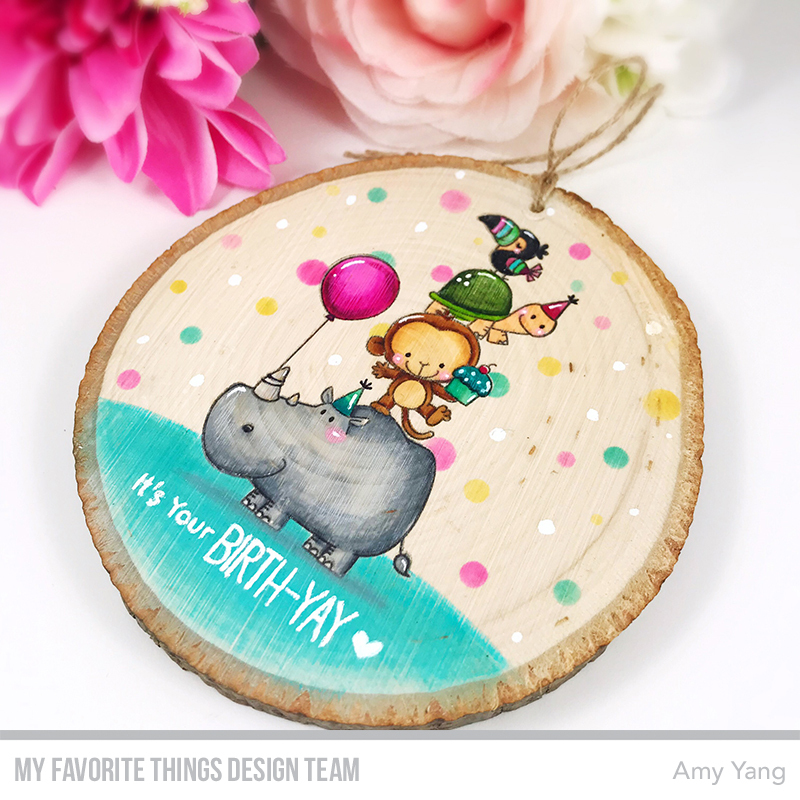 Love these adorable images & the use of the wood circle is awesome! This a such a great idea! Love your project and this stamp. I would be scared to use my Copic markers, but maybe colored pencils. Absolutely fantastic! So fun, happy and vibrant. Clever idea. Oh my gosh! This is SO stinkin' cute! I wondered how well Copics would work on wood.